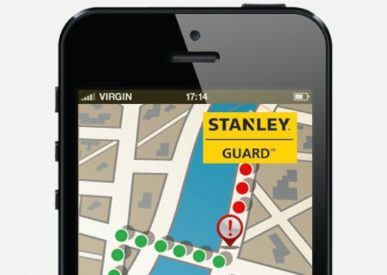 Our STANLEY GuardTM Personal Security App assists in Protecting Vulnerable People. We like to keep things simple! We believe in a potentially dangerous situation such as being attacked or a stranger on the premises, you won’t care about fancy design. You want an app that works, and you want help – fast. That is why STANLEY GuardTM was designed from the ground up to be as simple as possible to use. We take a proactive approach to your safety, and we therefore encourage you to turn on STANLEY GuardTM BEFORE you are in a potentially dangerous situation. 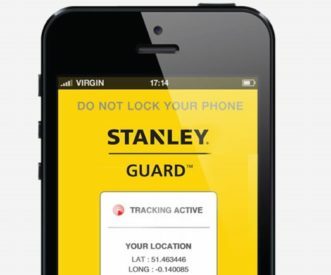 We track you in real time from the moment STANLEY GuardTM is activated, even though an alert has not yet been raised. We do this so, that we can backtrack your movements and possibly find CCTV footage on your route for further evidence, if need be. 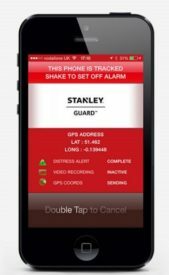 As soon as the alert is activated, your current location and the route from the time of activation of STANLEY GuardTM is sent to the Alarm Response Centre. From this moment onwards, your location is tracked and viewed in real-time by your emergency contacts. We have designed three unique alarm profiles. We understand that the situations you may find yourself in are unique to you and therefore require different approaches to raising an alert/alarm, as it may not always be safe to let an attacker know that an alert has been raised. After the second shake, the phone will go into maximum alarm mode with strobe lighting. This profile makes it very obvious to anyone looking at the phone, that an alert has been raised. For when you might not want anyone to know that an alert has been raised. 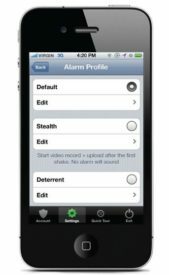 Activating the alarm means that your phone will emit an ear piecing alarm sound, and that the flash on your phone starts to strobe, in order to attract maximum attention. Activate the alarm if you feel that the situation is getting dangerous and you therefore want your attacker to know that he/she is being tracked and deter them from attacking you. The meeting alarm feature can help you in situations with a risk factor, for example when meeting an estranged partner, going on a blind date or working alone on a rooftop where falling over and immobilising oneself, being undiscovered could be a real threat to life. This feature works in lock screen mode, ideal as a tool for lone workers and for discretion in a handbag or pocket. 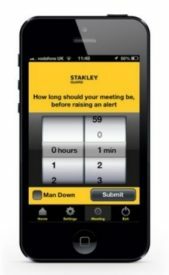 Tap the meeting icon in the app, select the duration of your meeting, then enter notes about the meeting, which if an alert is activated will be seen by the Alarm Response Centre who can alert your emergency contacts and dispatch the necessary help. The alert page has tracking data facility, displaying exactly where you are on a Google map. The tracking data is updated every 45 seconds so your emergency contacts can follow your movements both before and after the attack in real time. If you follow the route someone has taken, you can see their route in GREEN. When they have activated an alert the route turns RED. The STANLEY GuardTM logo is their current location. When an alert is raised by the user, an alert page is instantly sent to the emergency contacts via SMS and Email. 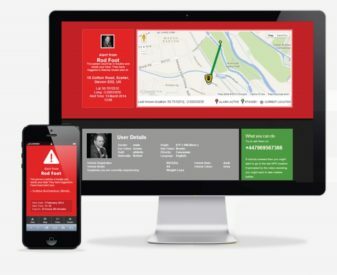 The alert page contains all the data captured from the incident such as tracking data and video both in real-time, as well as other data about you to pass on to others if needed. By doing this STANLEY GuardTM ensures that all data is stored safely, securely and remotely. The status bar lets you know when the location is being tracked or updated. This area will also tell you the alert date and time. The alert page displays the video automatically uploaded by your phone, when you raised the alert. This enables the Alarm Response Centre to see what is happening and therefore judge how to best help you and dispatch the required Emergency Contacts. 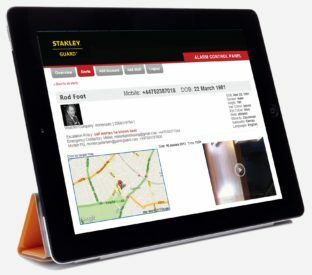 On the STANLEY GuardTM website you can log in and manage your account, update your profile and view all of your alerts ever made. 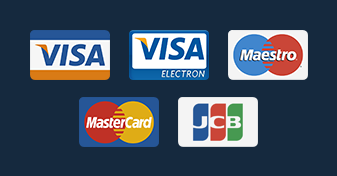 Once logged in to the website there are several areas available to STANLEY GuardTM subscribers. Shown right is an example of your alerts list, which contains a preview of your most recent alert and details of other alerts should you wish to review them. Q. What data connection does my handset need to run STANLEY GuardTM? Q. Will my STANLEY GuardTM use a lot of Data download? Q. 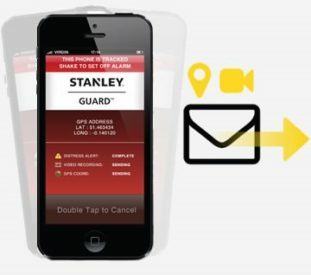 What Mobiles can I use STANLEY GuardTM on? Very neat and tidy installation. Very considerate with young family. Professional and efficient service throughout the whole process.